352 Inc. — How do I change my display name? 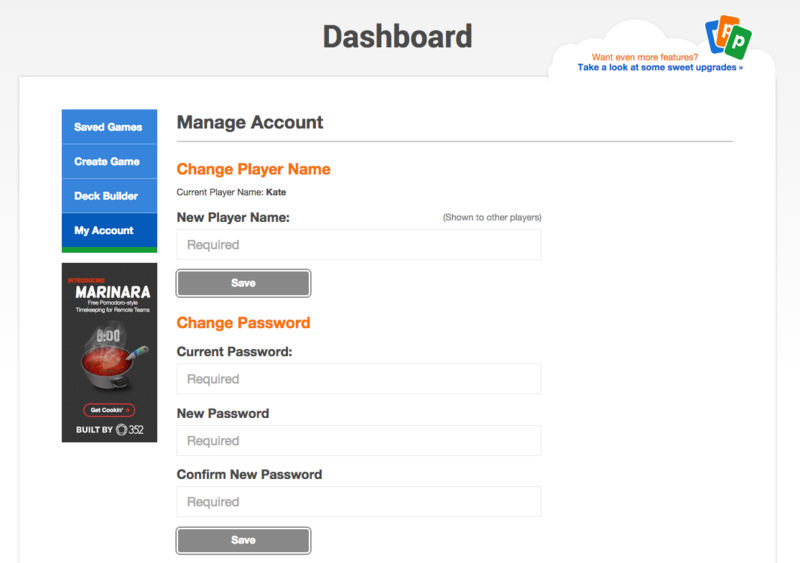 Head to the My Account tab in your Dashboard to change your Player Name. In the Poker game, click on the Players tab ( ) and click the Pencil icon next to your name.